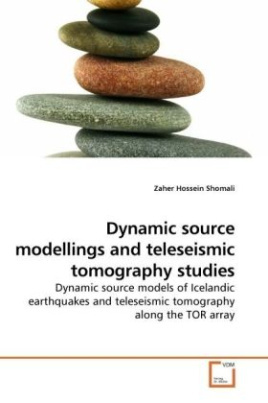 In the first study presented the dynamic source parameters of some local Icelandic earthquakes are studied by employing a time domain moment tensor inversion method. A windowing method for direct P and S phases was used and the inversion was performed for frequencies lower than the associated corner frequency under the double-couple constraint. The second study deals with a new method for calculating the empirical Green s function based on inversion of earthquake radiation patterns. The resulting Green s functions then may contain both body and surface waves. The lithosphere-asthenosphere transition along the TOR array is investigated in the last two studies. Separate and simultaneous teleseismic P and S relative arrival-time residuals were inverted via different methods (a singular value decomposition and a quadratic programming method) to investigate the reliability and the resolution of the model.